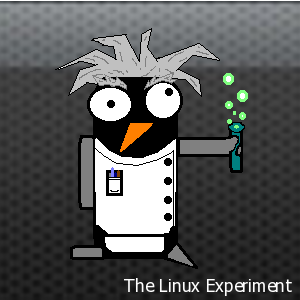 I’m back at it, looking for the latest open source alternative software gem. 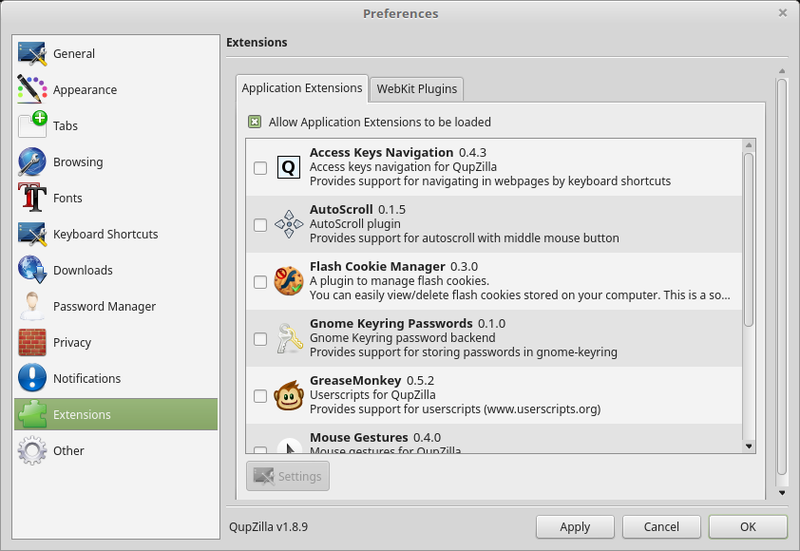 This time around I’m trying out the QupZilla web browser. Never heard of QupZilla before? Well it’s another alternative web browser but this one is built on top of Qt WebEngine, comes with a built in ad blocker and strives to have a native look and feel for whichever distribution/desktop environment you’re running. 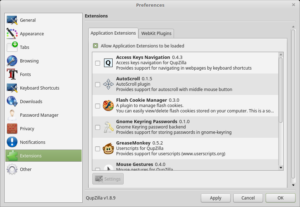 QupZilla supports a number of extensions that expands the browser’s capabilities. These are presented in an easy to use settings dialog. Extensions for you! And you! And You! While it’s hard to say if that’s a lot of memory usage or not it does seem like quite a bit of RAM to use up for just a single tab. The other thing I noticed was that the browser seems to use quite a bit of CPU when initially rendering the web page. I don’t know if that’s just related to my particular configuration or what but I regularly saw spikes up to ~70% CPU which seems excessive. Overall though QupZilla seemed to work fine for the websites I tried in it. I suppose if you’re looking to run a browser that no one else is then this one is for you but just like Midori and Konqeror I don’t have a compelling reason to recommend this for every day use.